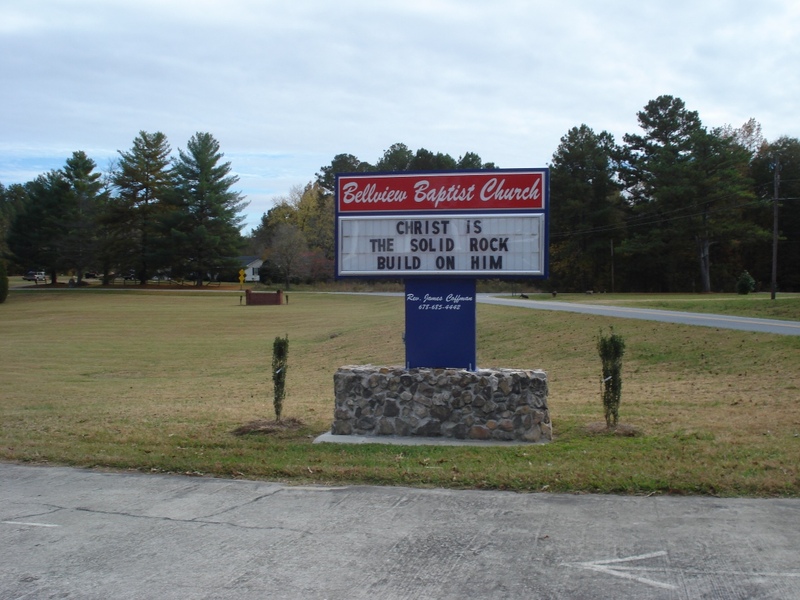 Directions: From Rockmart turn right onto Prospect Rd. from the Nathan Dean Pkwy/Hwy 278. Travel 1.1 mi, then turn left onto Bellview Rd. Drive 2.5 mi and turn right onto N Bellview Rd. 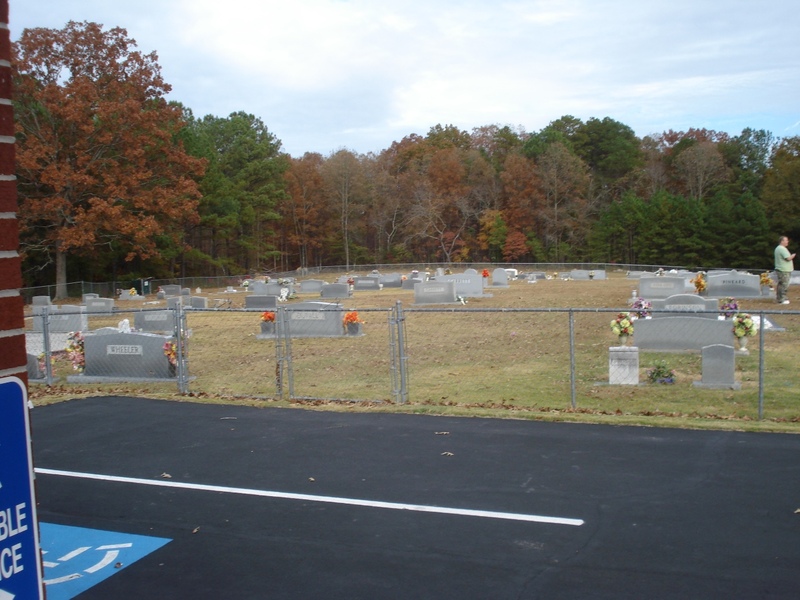 Church and cemetery will be on the right. 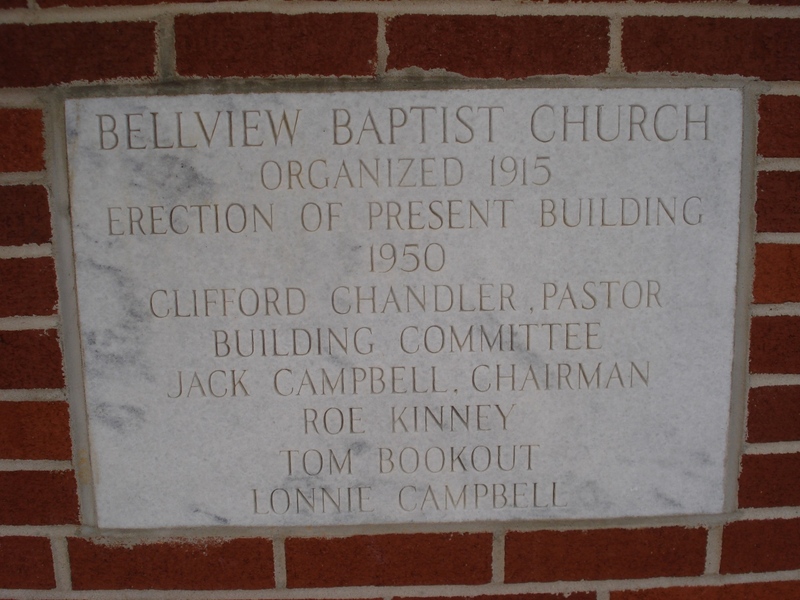 Bellview Baptist Church was organized in 1915. The present building was erected in 1950. 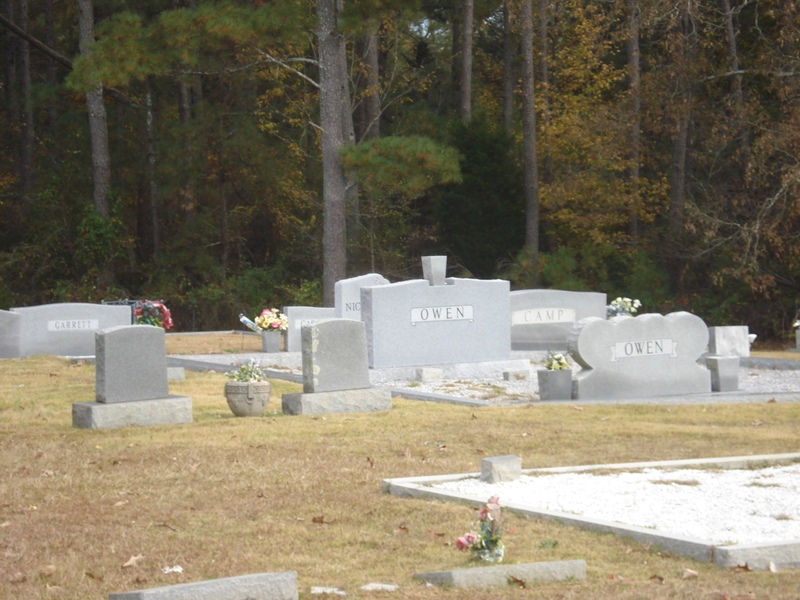 Fistie no dates Only Data on Stone: The Beloved Pet Dog Of Wesley Andrew Godwin, Sr.
Pinkard, James W. 07 May 1914 01 Mar 1992 Married 14 Dec 1938 "53 Years"
Pinkard, Rena Mae 08 Jan 1919 blank Married 14 Dec 1938 "53 Years"